In your profile you can allready add your contact data for ICQ, AOL Messenger, Yahoo! Messenger, and MSN Messenger. But how about adding the possibility to add your skypename in that list, so members can do some free internet calling / audio chatting. I know that's also possible with the other programs, I just thought it would be worth to add skype to the list. It's possible by doing some modifications of the code. The simplest solution would be to replace one of the existing fields by a Skype field. I suppose something like AOL Messenger or ICQ is hardly used. I'll look into it later. Hahaha I called Muad'dib once.. I think I was drunk..
RE: Skype usernames in profile? Maybe where you live that is possible, but keep in mind it's not like that with every operator in every country. I agree that you can also use msn, but why not just add skype to the list, so people who want to use it can do so. This post has been edited 1 time(s), it was last edited by djfreemc: 25-05-2006 13:19. Yeah, and anyways Skype is a lot better than MSN. Doesn't the admin allow for adding extra fields? Now everyone can enter their Skype number in their profile. 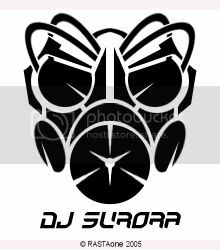 drumnbass.be forum » Urban area » Bug reports & suggestions » Solved problems & fulfilled wishes » Skype usernames in profile?